Swimming with Elephants Publications, LLC would like to reintroduce to you to Brian Hendrickson. Brian Hendrickson’s collection of poetry, entitled Of Children / And Other Poor Swimmers, was published by Swimming with Elephants Publications, LLC in September 2014 after winning second place in our yearly chapbook competition. Pick up Brian Henrickson’s collection of poetry, entitled Of Children / And Other Poor Swimmers, from Bookworks ABQ or order from Amazon or Barnes and Noble today! Brian Hendrickson’s poems have appeared or are forthcoming in a range of publications, including Indiana Review,North Carolina Literary Review, and New York Quarterly. For his poetry Brian has been nominated for a 2011 Pushcart Prize and Best of the Net award, recognized as a 2013 finalist forSmartish Pace’s Erskine J. Poetry Prize, and awarded a 2013 New Mexico-Arizona Book Award for appearing in Beatlick Press’ La Llarona anthology. Since earning an MFA in Creative Writing and Literary Arts from the University of Alaska Anchorage, Brian has taught and tutored writing at colleges and correctional facilities in Alaska, Florida, North Carolina, and now New Mexico, where he is currently pursuing a PhD in Rhetoric and Writing. 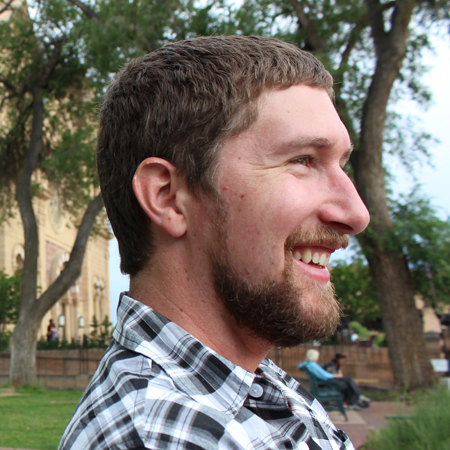 Brian’s scholarship focuses on the role of writing in social movements and student activism.